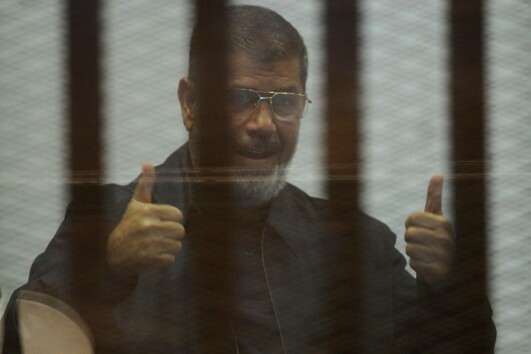 Former president Mohamed Morsi sent a message from jail on the occasion of Eid Al_Fitr. The official social media accounts belonging to Mohamed Morsi released a message Thursday evening attributed to the imprisoned former president, in which he wishes Egyptians a positive Eid Al-Fitr holiday and calls on the continuing “the revolution”. “Every year you rebel, every year you are free, every day I have in this cell increases my faith to continue the revolution,” the account says. The Muslim Brotherhood leader has been imprisoned since his ouster in July 2013, and is facing a death sentence after being convicted this July for the 2011 prison case, in which he is held to be guilty of murder and attempted murder. Morsi has also been handed a death sentence in a case in which he was convicted for spying for the ruling body of the Gaza Strip, Hamas. Both sentences can still be overturned. He was also given a 20-year sentence for inciting violence during clashes outside the Ittihadiya presidential palace in 2012. “My strength and my determination have not decreased and my belief in victory is endless,” the account says, signing off as “President of the Arab Republic of Egypt”. 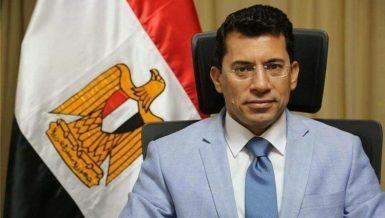 Also on Friday, seven protesters were killed by security forces according to a Health Ministry spokesperson, in protests attributed to Muslim Brotherhood supporters.